� Add-up stock, chopped tomato, pizza sauce, sausage, and seasoning. � Simmer for 10 minutes. 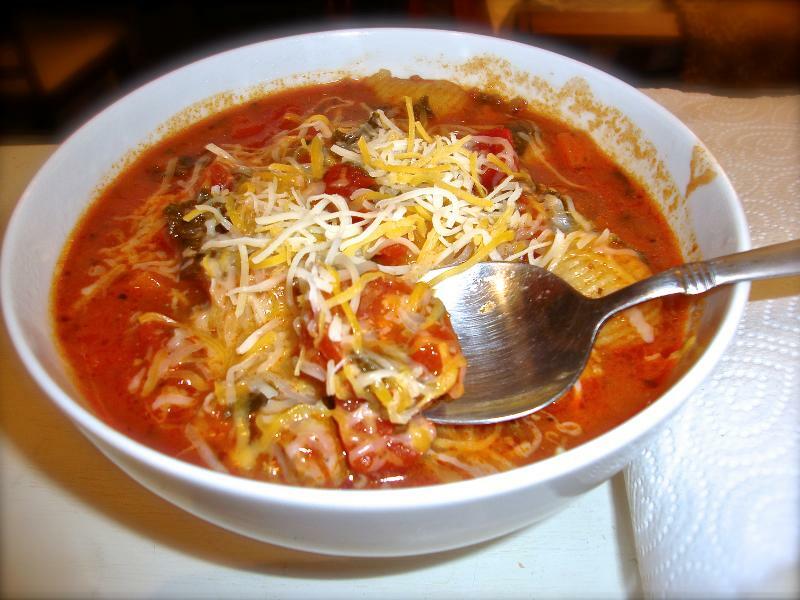 � Ladle and decorated with shredded cheese. - You may add green pepper. - You may add pizza dough circles (cooked before) ladle the soup over it or French bread cuttings garnished and put it in the bottom of the plate and baked then put the soup over it and serve. - Decorated with basil or pizza spices.